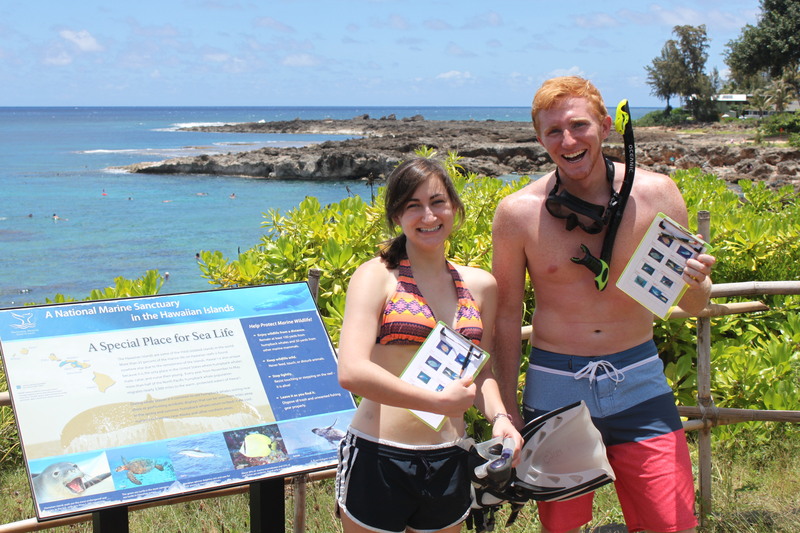 MAKING A “SPLASH “ AT PŪPŪKEA! 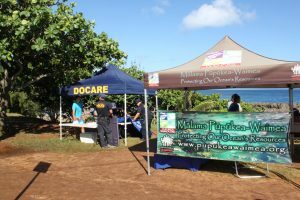 (HONOLULU) – Two DLNR Divisions and the Mālama Pūpūkea -Waimea Makai Watch program teamed up over the weekend for the first “Splash” event, created to continue support and evaluation of the Makai Watch program, provide education on rules and regulations, and also address people’s perceptions about the DLNR Division of Conservation and Resources Enforcement (DOCARE) in our local communities. 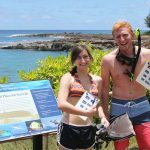 Rolling in traffic on the north shore of Oahu passing “Pūpūkea” (Sharks Cove), a line of parked DOCARE vehicles could be seen Saturday morning. 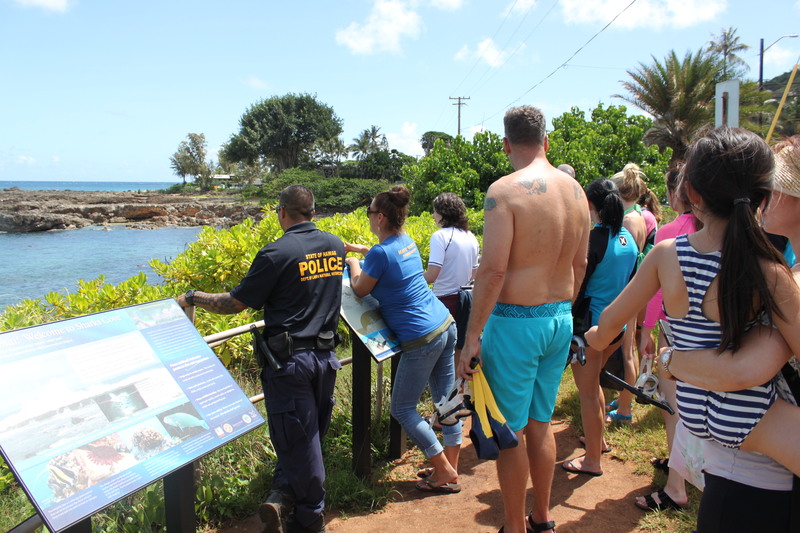 A closer look towards the ocean, and a mix of DOCARE officers, the DLNR Division of Boating and Ocean Recreation (DOBOR) Education Specialist, and Makai Watch volunteers could be seen interacting with and engaging beach-goers with proper reef etiquette and beach safety. 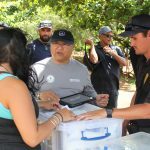 DOCARE is currently piloting the Makai Watch program in eight communities across the state, including the one at Pūpūkea. 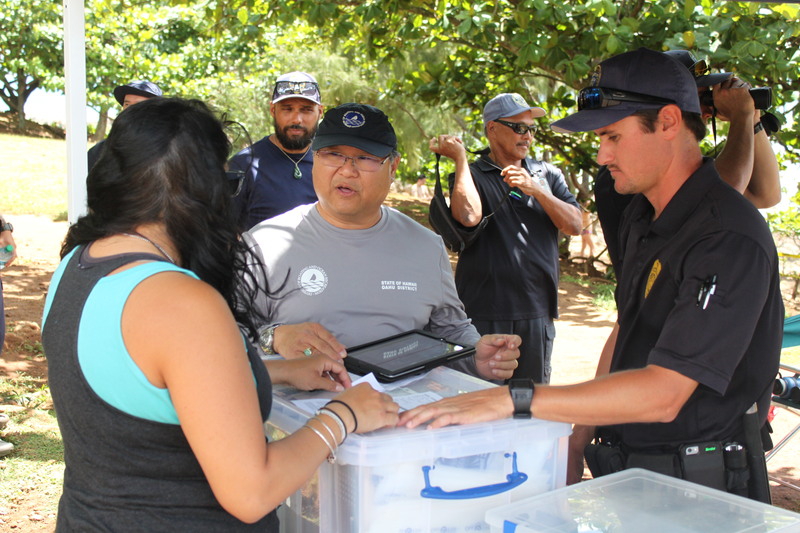 The“Splash” event was designed to help evaluate the effectiveness of volunteer training and reporting, as well as the change in resource violations over time. 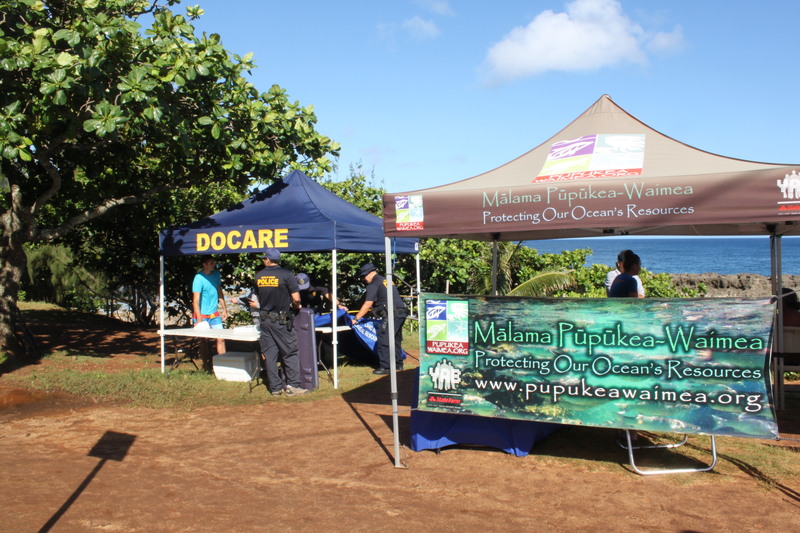 DOCARE and DOBOR were on site to provide education and issue warnings to commercial operators who weren’t following regulations. The represemtatives encountered quite a few commercial operators who were not properly permitted. 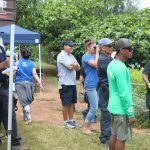 According to DOBOR Boating Education Specialist, Clifford Inn, “All commercial operators who are conducting tours or lessons on the water must obtain a commercial-use permit”. People and commercial operators were able to clarify their questions regarding rules and regulations. 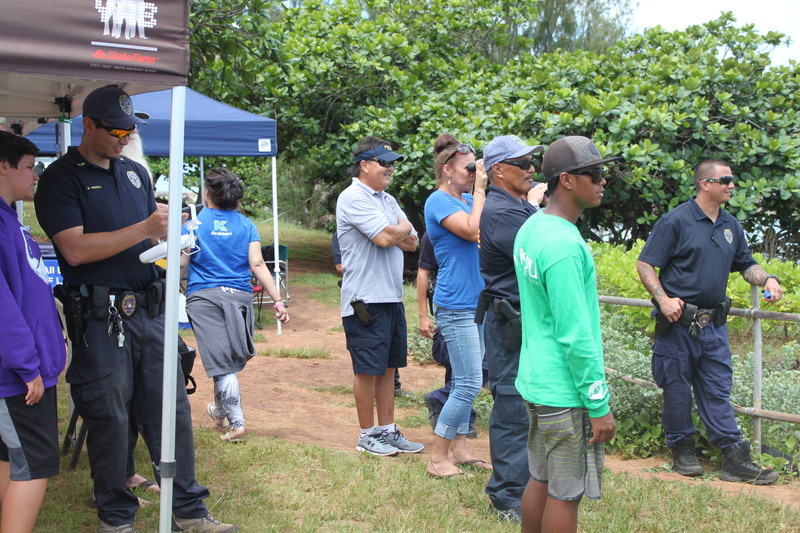 They were also invited to the Makai Watch Training at Sunset Beach Recreation Center on Saturday June 25 from 1p-4p.